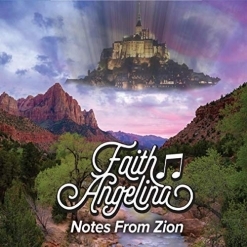 Notes From Zion is the second solo piano album from Faith Angelina, winner of the Zone Music Reporter’s “2017 New Artist of the Year” award for her debut, Reaching 12. The liner notes describe Notes From Zion as: “the story of a journey. A journey that started in fear and hopelessness, but is blossoming into an understanding and purpose for life.” Still in her early teens, Faith Angelina’s story is compelling. She was troubled with suicidal thoughts for several years before being diagnosed with a hormone imbalance. Being bullied at school made matters worse. Faith Angelina left a suicide note for her mother to find in 2016 and then a diagnosis was made and treatment was started. 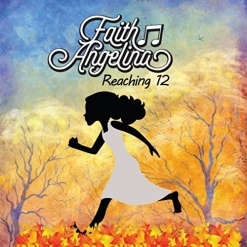 Reaching 12 was created as part of the healing process and both Faith Angelina and her music have touched many lives. The liner notes continue: “Music has become a tool to keep her own life in balance while simultaneously reaching out to her peers around her about suicide prevention. She has worked hard to develop her talent and follow up her debut album with something special.” I would say that this young pianist/composer has succeeded well with Notes From Zion! The album title refers to the National Park in Utah, a place Faith Angelina’s family visits often. It also refers to the Bible and the city of Enoch, which was taken up into the presence of God. “To be Zion is to be pure in heart. To be one with God.” Most of the twelve song titles refer to places in the park, but some include Biblical references. Notes From Zion begins with “Top of the Mountains,” a very graceful piece that reflects on the majesty of looking up at the mountains around Faith Angelina’s home as well as thoughts of God looking down on her. It starts out slowly, quickens a bit in the middle and returns to the original theme at the end. Faith Angelina mentions that she tries to write music that invites the spirit “so that it is easy to meditate and escape from my troubles.” She also says that in the title song, she hears the inspiration from heaven. The piece conveys a sense of strength as well as tenderness and love. “Kolob Canyon” is the name of where God dwells as well as an area in the park. This is one of my favorites. I love the gently rocking rhythm, the crossovers into the deep bass of the piano and the bittersweet quality of the melody. “Ensign Peak” has a similar feel and refers to a mountain peak that overlooks the Salt Lake Valley where her family often hikes. The piece gradually builds energy as it unfolds, giving a sense of exhilaration. “Finding Your Why” refers to the idea that having a sense of purpose and knowing yourself are the keys to happiness. The piece has a lighthearted energy that expresses those feelings. The closing piece, “This Is the Place,” expresses the feeling of coming home and is “a song about finding a place of peace within and knowing that I am on the right track with my life.” You go, girl! I absolutely love that Faith Angelina is finding internal peace, growth and understanding through music and the piano. It is a message certain to help many others in ways that she may never know about. Notes From Zion is available from Amazon, iTunes and CD Baby.